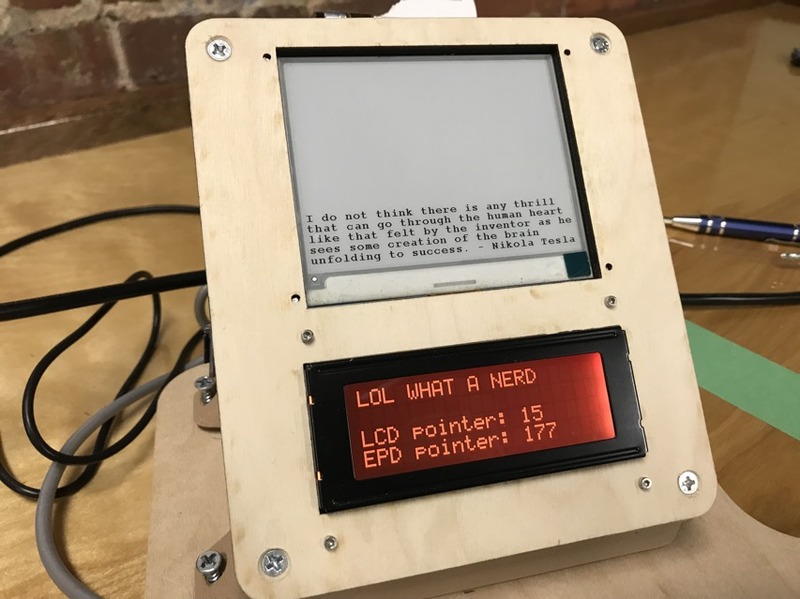 The SPUDwrite (Single Purpose User Device) for creating writing made with E-paper, MBED, and STM32F401 Cortex M4 « Adafruit Industries – Makers, hackers, artists, designers and engineers! As a person who does all of their engineering work on or adjacent to a computer, the idea of coming home and spending even MORE time on the computer for creative writing isn’t super appealing. 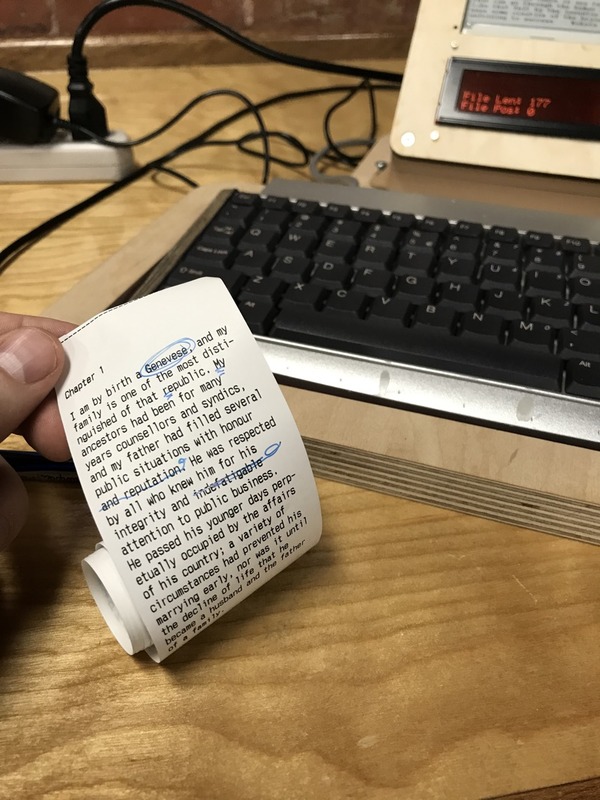 So I made an e-paper typewriter – no browser, no games, just you and your word count. 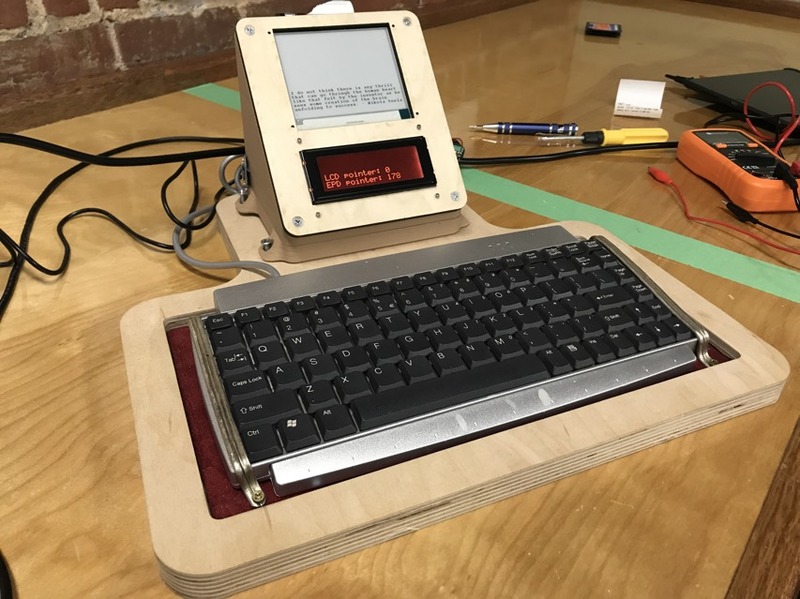 It has a character LCD at the bottom for the current line you’re typing, to make up for how slow E-paper updates, and when you’re finished you can save your file to an SD card or print it all out with the internal thermal receipt printer for redline editing. I call it the SPUDwrite (Single Purpose User Device), hopefully the first of a couple of SPUDs. It’s built on MBED and the STM32F401 Cortex M4. 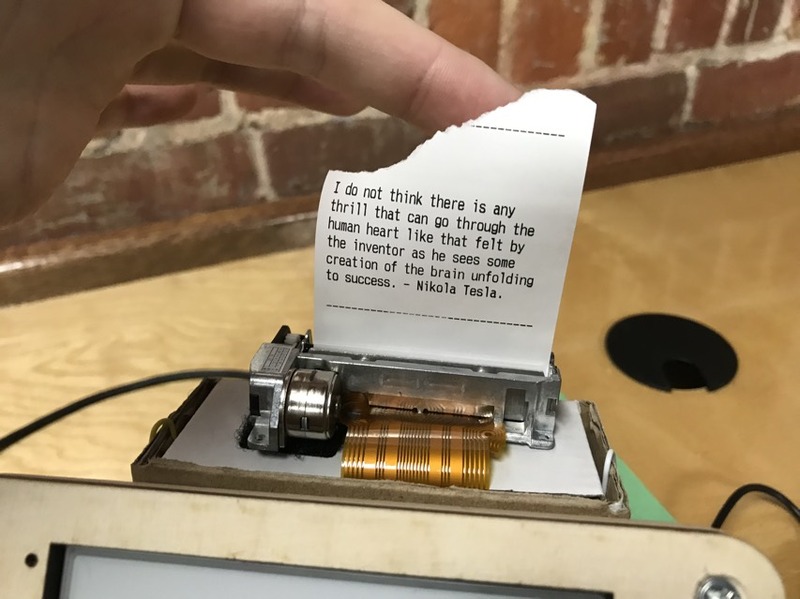 I would love to own a SPUDwrite. I’d be keen to know if you end up selling this prototype or making additional ones.